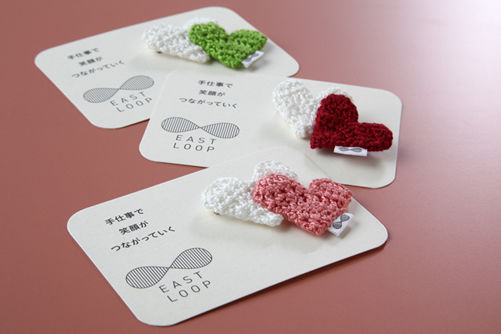 This is a knitted brooch attaching two simple hearts. 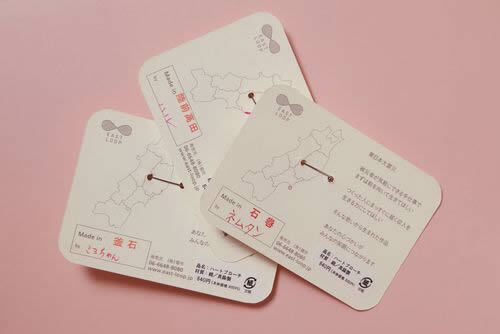 The brooch is imaged that the people in the disaster areas are connecting with you. Even fancywork beginners can make it easier, and that is designed to be comfortable to join the fancywork. Their nickname and production area of the handworker is on the back of a package.